At the beginning of the year I was still sad for the loss of my dear friend Ivan, who was also involved in the development of DragonMaze, he was working in all the textures, UI and 2D graphics, he was also slowly learning to do 3D art and to be honest, he had a lot of potential, At the same time, I was healing myself from some gastritis I had, everyone agrees that the first time you get that pain you become very nervous and stressed and you really think you are going to die, however, at the beginning of this year I was healing slowly (praise god). I was also researching different art pipelines, and this is where this year starts. Everything is sorted in chronological order. If some of you know DragonMaze since the beginning you may have noticed how the graphics increased dramatically in quality, and this is thanks to Houdini engine, I was looking for “level editors” or any kind of tool that could aid me to avoid the repetitive tasks, the game has been made 2 times (not completed) and each time, I had 50 levels, those 50 levels, were “hand modeled” one by one, and most of the time I was doing repetitive actions just with different parameters. Somehow, one day while gooling, I ended on this blog entry on SideFX Site, and I tough.. “well.. maybe Houdini can help” I knew it because almost every 3d artist knows that Houdini is a powerful software, but that’s all, after hours of googling again about Houdini and games, I ended up on this video which made me think “well.. I only see square things.. but, maybe I can come up with a good art style with this appearance”. And after months of training, I found out that I could do literally any “tool” I needed for Dragon Maze, by the end of the year, Houdini became the main tool used for the game, here is how am I using it. 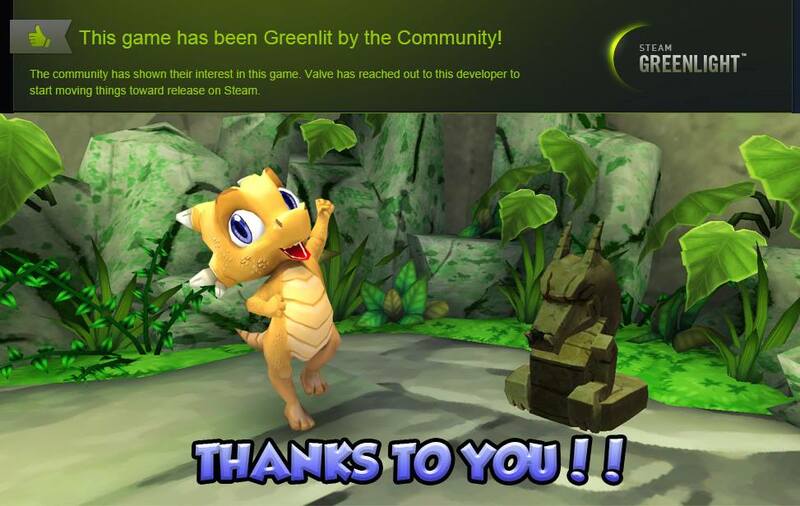 Just one week before going to GDC, I got this magic notification, “your project has been greenlit by our community”, I was extremely happy, I tough I was not going to make it for GDC, however, I had already printed all the flyers and all of them said “vote for dragonmaze on greenlight”, however, I said that those flyers are collector’s edition because they were not going to be printed again, and its true. On March, I applied for a government sponsorship at my country to be able to show the game at GDC 2015, my goal, to accomplish the dream of my childhood, to release a game on a console, it was my first time doing this kind of stuff, even my English is not perfect, I had a lot of help from everyone, including my family and friends to be able to show Dragon Maze there, I was very nervous, it was also my first time traveling to another country by myself. In my mind I had “okay do business” however, a few days earlier, I was googling “how to get the best of GDC” and there was a paragraph that is still on my mind “go there and have fun, chill out, talk with other people, I meet some of my best friends at GDC”. Also, what the blog entry said, was true for me, I had the fortune to meet AMAZING people at GDC, I really thank god for that opportunity, for allowing me to meet those amazing friends (you know who you are =3), however, when I returned to my country, in my mind, I only “had talked with a lot of people” and I tough that I “failed”, however, what came next was amazing. Being at GDC Play was an unique experience, I did not knew if I was doing everything right, however I was able to talk with “the big three” which is Nintendo, Playstation and Xbox. At the moment I can say that at the moment when I was writing this, the game will be released in 2 of those 3 platforms, hopefully the upcoming year I can say that it will be released for those 3, but I can not say that yet. Remember I said “I talked with a lot of people”, one of them invited me to show DragonMaze at the Unity road show in my city (Guadalajara), this is when I tough that it was a perfect time to show the “new Dragon Maze” and it’s when this trailer was made, also, now it’s time for you to know it, thanks to Houdini engine, this trailer was made in 2 weeks (yep, those levels do not exists, however the mechanics do). I was impressed at how the people reacted to that trailer and to the new graphics and this gave me a lot of motivation to continue, at this point I was “catching up” again, even when I still miss my friend Ivan, I was able to continue and the gastritis was a thing of the past. 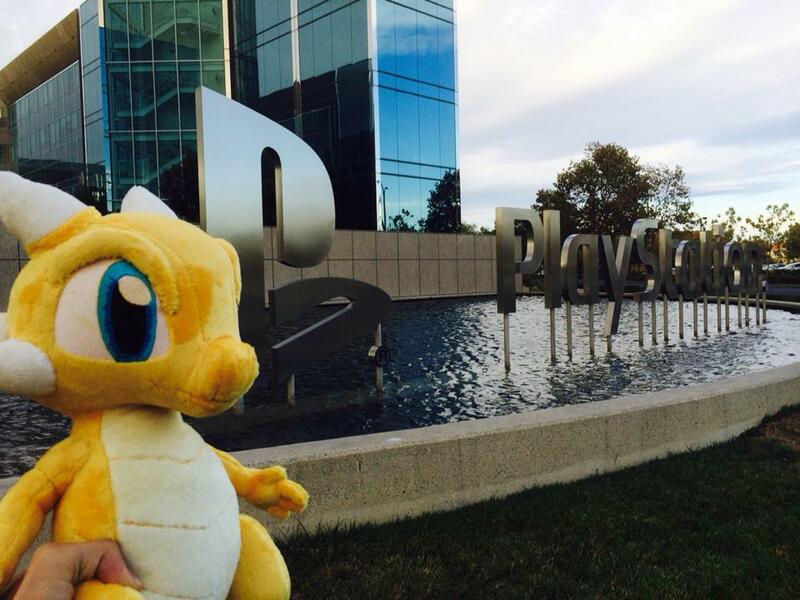 Just after unite, I had the opportunity to go to the offices of Sony, it was also my first time going to an amazing place like this, their campus is amazing, I visited the Sony offices to finish talking with them, and after this trip, the development for the PS4 and Vita version officially begin. 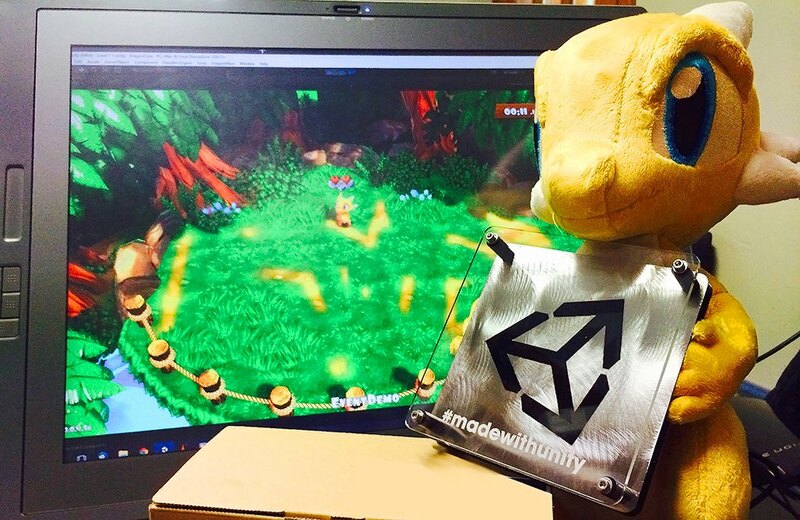 Unite Boston – Made With Unity. The new trailer got a lot of attention to the point that Dragon Maze got selected for the “Made With Unity Showcase”, at this point, I had a functional demo of the new version (when the trailer was made, the new version was very buggy), this is also the first time that the new version was tested on public, i was very excited, everything here went amazing and on this event I had the pleasure to meet someone from SideFX who also become a close friend. I had the honor and pleasure to be invited to IndieCade by SideFX, Houdini Engine really is an amazing tool, however, it is still not widely known, and one of my personal goals is to show it to other developers, I cannot express how this tool has speeded up the development of Dragon Maze, and I think that there should be another devs with a slow art pipeline like the one I had that might find this very useful. At indiecade I got impressed by the size of the indie community and how helpful they are one with another, definitely something lovely and something that I will not forget. Everytime that something like this happens I still remember my friend ivan and I try to talk with him about how everything is going. Dragon Maze is on its final stage, this game begin on 2012 and when I started it, I knew nothing or very little about Unity, All of these events really made me feel motivated with this huge task that is developing an indie game. Thank you God for giving me this opportunity, Thank you Family for all your support, for believing in me, Thank you friends for all your kindness and fun times, I may be the only one writing code and doing art, but the game is at this point thanks to the support of all of you. 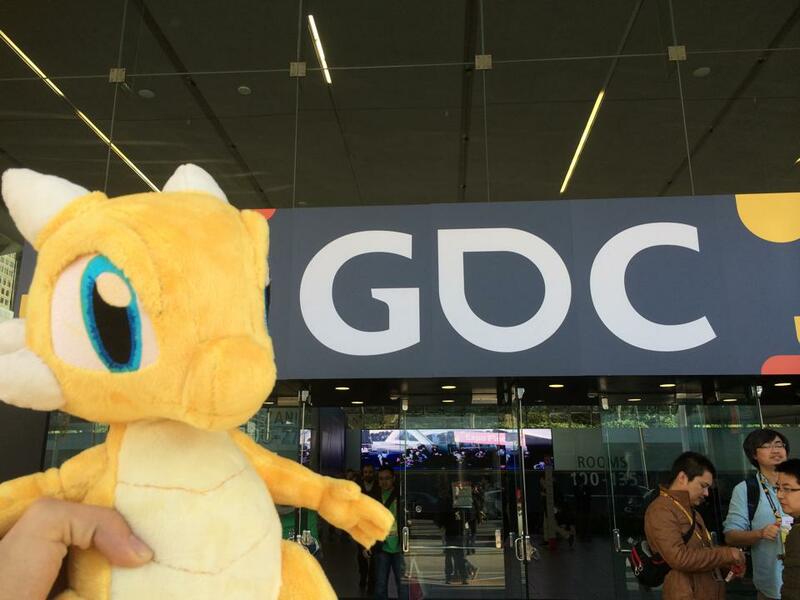 2015 really was BIG for Dragon Maze and I am ready for this 2016!